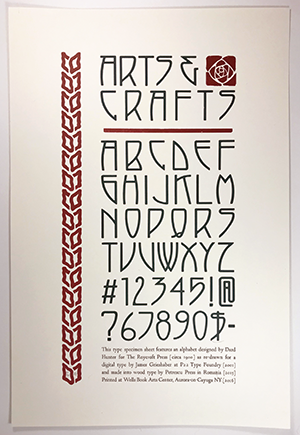 This letterpress poster has been produced to commemorate the P22 Arts & Crafts Tall font being cut as wood type by the Perescu Press/Wood Type Customs in Romania. Printing was done at the Well Book Arts Center by Richard Kegler. 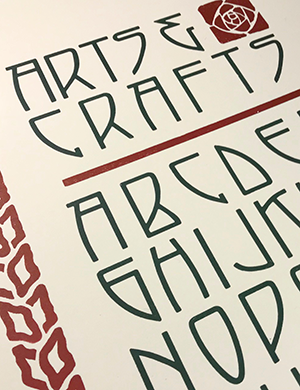 The newly cut 8-line letters were hand set on a Vandercook proofing press and run with black, dark red and "Hunter" green inks on Cream colored paper.